Envelopes, any color, any size, we can help! Let us help with your printing needs! From one color to full color, we have you covered. Production Facility is committed to excellence in service and quality! Serving all of your production, finishing, fulfillment, converting, manufacturing and printing needs. 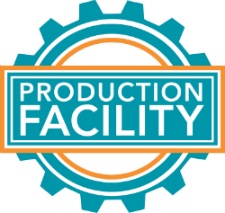 Welcome to the Production Facility, our state-of-the-art production and manufacturing headquarters, where we exceed your every expectation and wow you with the finished product. General Envelope has been a trusted name in the community since 1985, offering the widest range of forms, envelopes, and letterhead in the area. Our envelope experts never fail to deliver when it comes to your converting, manufacturing, and printing needs. Thermo-Fast has specialized in thermography printing (raised ink), rubber stamps, offset printing, and full-color printing for nearly 30 years. Our skilled production, bindery, and finishing departments balance form with function, overseeing projects from concept through completion. High-quality control standards, experienced team members, and superior production methods ensure cost-effective and quick turnaround times with outstanding quality. How can we help you today?